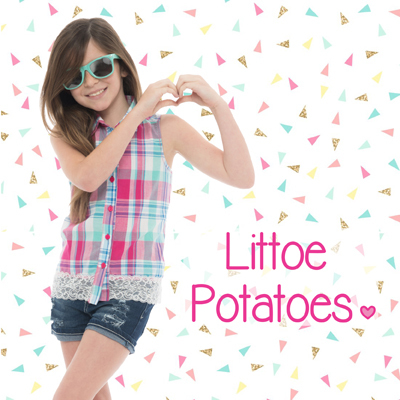 Littoe Potatoes is a children's apparel wholesaler based in Los Angeles. We are a women-owned and family-owned business, with a mission to provide fun, affordable, and quality styles to our buyers! We have 3 super cute labels: Littoe Potatoes, Minimoca, and Class 102.